Flume’s acclaimed self-titled debut is being given the deluxe treatment, and oh what a treatment it is! The 4-disc set will feature the album, remixes of and by Flume, a producer disc with Ableton Live 9 Lite decked out with stems for “Insane,” “Holdin On,” and “On Top,” a DVD of live Infinity Prism Tour footage, and, of course, an epic mixtape with heretofore secret guests. Well, the cat is out of the bag! We’re very excited to announce the star-studded mixtape that will help make Flume Deluxe Edition undeniable. 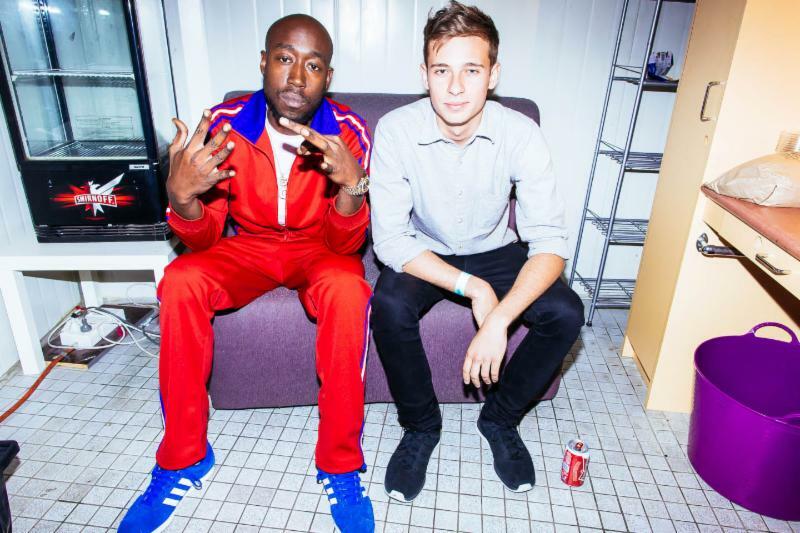 The mixtape features the aforementioned Freddie Gibbs, whose contribution was shared earlier this month, as well as Ghostface Killah, Autre Ne Veut, Killer Mike, How To Dress Well, Twin Shadow, and more. The first track on the mixtape, “Intro,” is a collaboration between Flume and Maybach Music rapper Stalley, and it’s a brand new composition made especially for the deluxe edition. The deluxe edition is out digitally in North American on Nov. 12th / physically Dec. 10th on Mom+Pop. In other big Flume news, he won an ARIA (Australian Recording Industry Association) award for producer of the year, and is nominated for seven more, including Album of the Year, Song of the Year, and Best Male Artist! His 8 nods lead all nominees, including Nick Cave and Tame Impala! Tags: album, ARIA, Australian Recording Industry Association, Autre Ne Veut, Flume, Flume Deluxe Edition, Freddie Gibbs, Ghostface Killah, How To Dress Well, Killer Mike, Mom+Pop, Music, Nick Cave, Stalley, Tame Impala!, Twin Shadow. Bookmark the permalink.